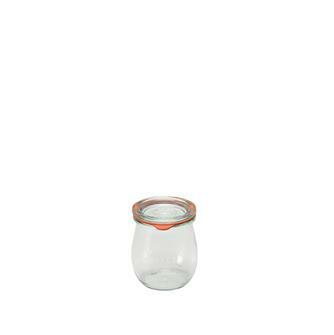 Glass Weck jars with a stirrup. 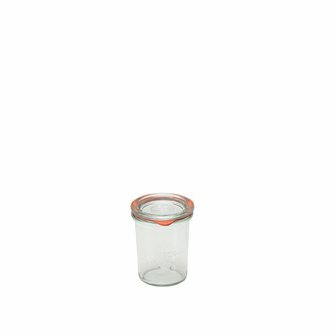 220 ml Weck jars with seals and lids. Set of 12 units. 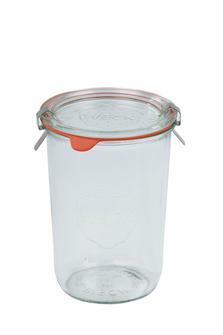 500 ml Weck jars with seals and lids. Set of 6 units. 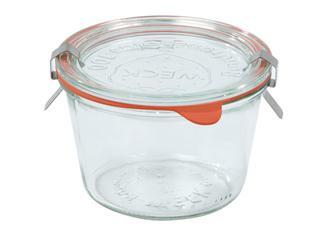 1 litre Weck jars with seals and lids. Set of 6 units. 1/2 Weck jar for asparagus by 6. 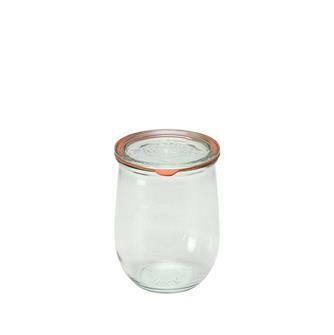 500 ml Weck jars for asparagus. Tall and straight with seals and lids. Set of 6 units. 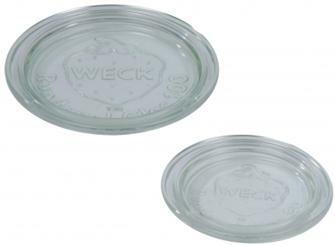 60 mm glass Weck lids. Set of 30 units. 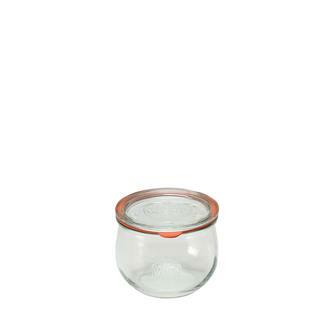 100 mm glass Weck lid. Set of 30 units. 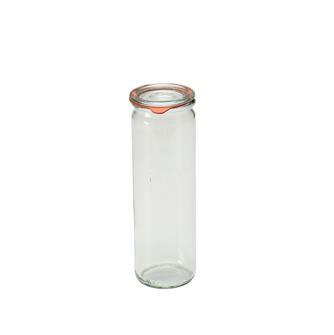 60 mm Weck seal for jars and terrines. Set of 10 units. 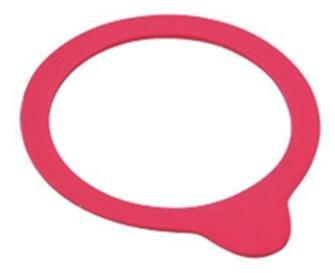 100 mm Weck seals for jars and terrines. Set of 10 units. Weck clamps for sterilising jars and terrines. Set of 12 units. 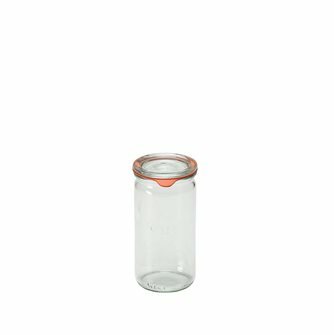 80 ml Weck terrine jars with seals and lids. Set of 12 units. 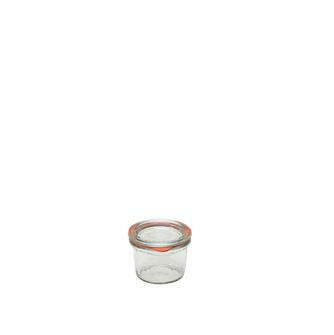 250 gr Weck terrine jars with seals and lids. Set of 6 units. 500 gr Weck terrine jars with seals and lids. Set of 6 units. 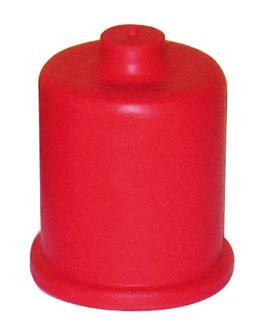 Rubber cap for Weck bottles. This cap goes over the bottle neck. It is elastic, does not retain smells and does not alter the taste of the liquids. 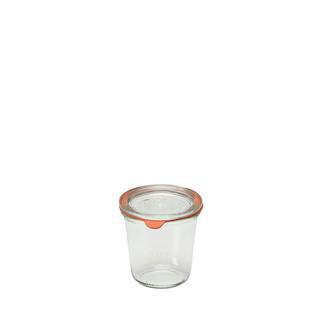 140 ml Weck verrines with lids. Set of 12. 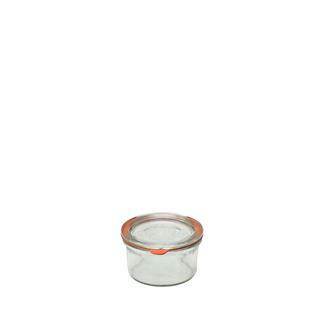 160 ml Weck verrines with lids. Set of 12. 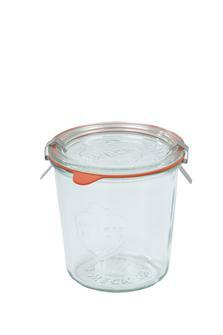 290 ml Weck verrines with lids. Set of 6. 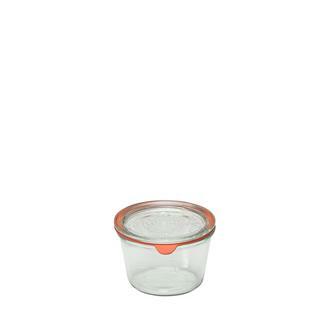 165 ml Weck verrines with lids. Set of 12. 370 ml Weck verrines with lids. Set of 6. 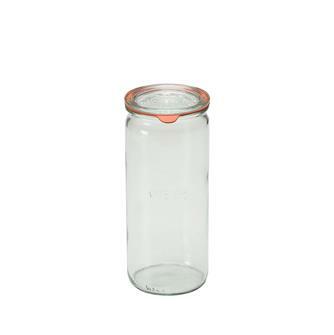 Tall straight Weck jars - 340 ml - with lids. Set of 6 units. 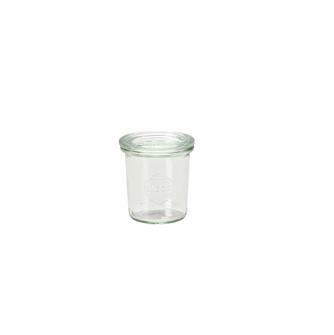 Tall straight Weck jars - 1040 ml - with lids. Set of 6 units. 80 mm Weck seal for jars and verrines. Set of 10 units. 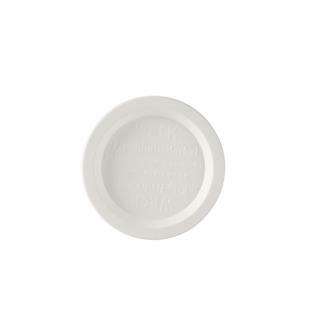 Weck plastic lid - 80 mm. Set of 5 units. 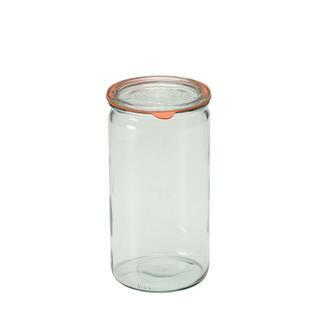 1500 ml Weck jars. Tall and straight. Lids included. Set of 6 units.